Ever wonder about the uses for baking soda - I did! So when this happens to a writer, we usually decide to do some research and write an article on it, which is exactly what I did. I found that you can not only cook with baking soda, but clean with it, use it for personal hygiene, deodorize EVERYTHING and a ton more things – Baking soda used on your car windows repels rain and you can even use it in your GARDEN to keep away rabbits and sweeten your tomatoes! Who KNEW?!? 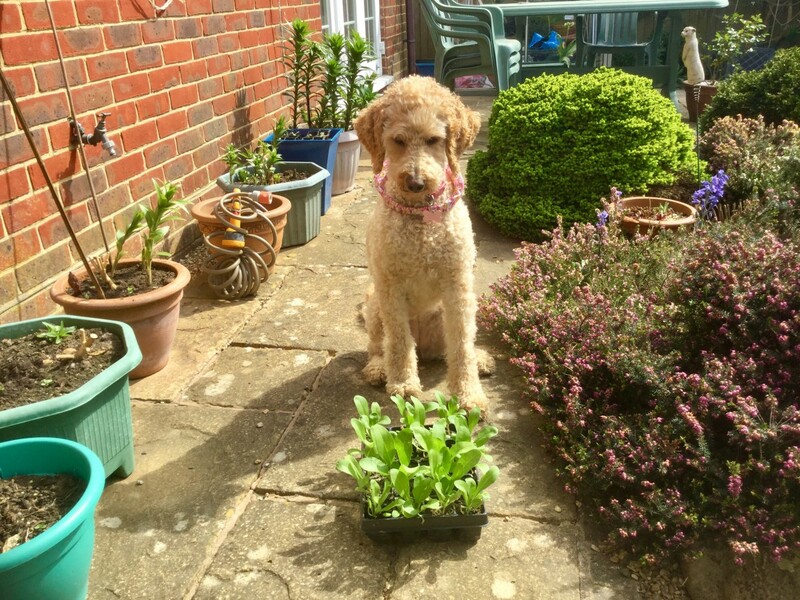 All I can say is that I think I’ve found my new best friend to have in the house when it comes to… well, just about ANYTHING! 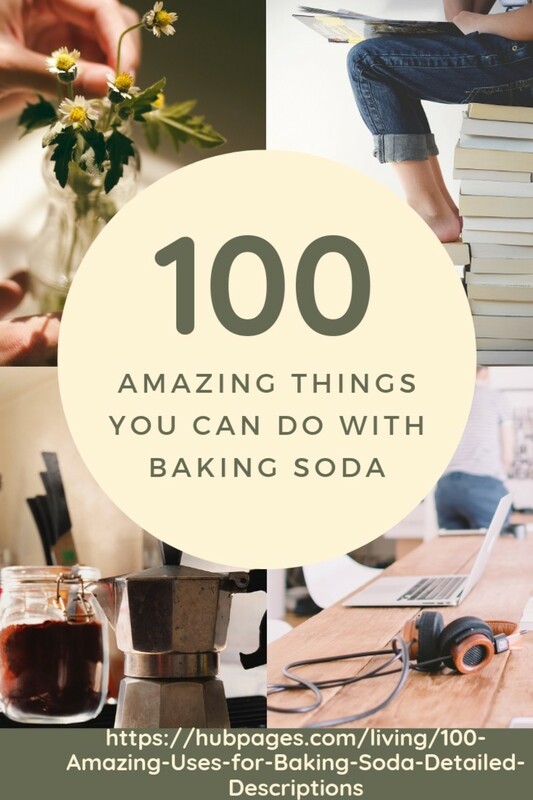 I knew baking soda was useful for baking and keeping things fresh smelling, but WOW was I surprised when I started to research this article at just HOW MUCH baking soda can be used and it is all natural so it falls into the “Green Cleaning” category, no harsh chemicals. Toothpaste – Make a paste using ½ teas baking soda to hydrogen peroxide and use in place of commercial toothpaste. Mouthwash – 1 teas baking soda in ½ glass water. Swish, spit, and rinse. 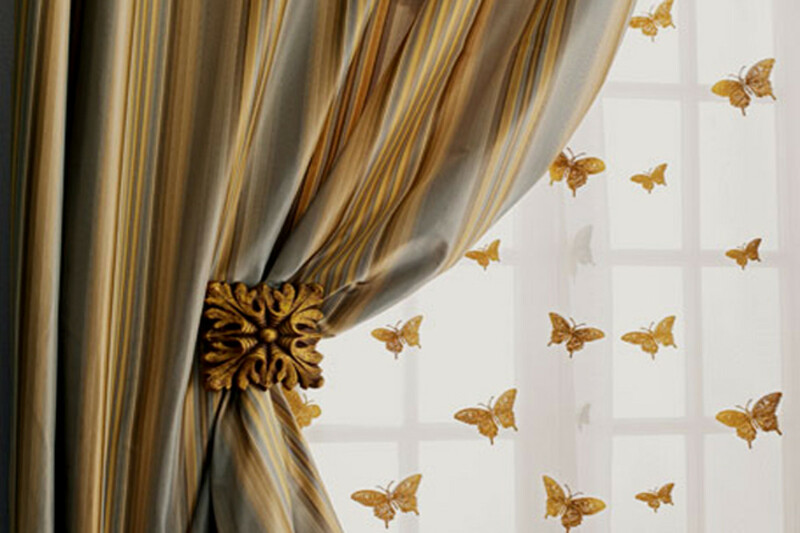 Odors are neutralized instead of just covered up. Natural Hair Detox – To remove styling product build up and leave hair smooth and more manageable and a small amount to your shampoo and cleanse as usual. Clean Hair brushes and Combs – Removes natural oil build up. Add 1 tsp. to a bowl of warm water and soak brushes/combs then rinse and pat dry. Bath Soak – to leave skin feeling baby soft and to neutralize acids and oils on the skin add 1 cup baking soda to your bath water and soak. Feet Soak – Have rough, dry skin on your feet? Add 3 tbsp. to a bowl of warm water and soak your feet for 15 minutes then gently scrub. Stuffy Noses Unblocked – just add 1 teas to your vaporizer. Antacid – Safe and effective relief of heartburn, sour stomach, acid indigestion, and gas. Add 1 tsp. to 1/4 glass of water and drink – doesn't taste the best but IT REALLY WORKS!!! 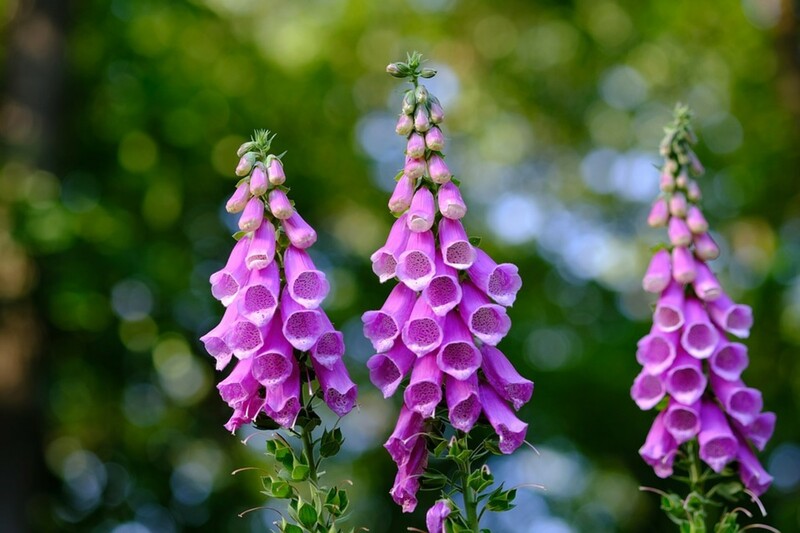 Treat Insect Bites and Itchy Skin – Make a paste out of baking soda and water then apply to skin. Substitute for Baking Powder – Same amount of baking soda that recipe is calling for mixed with cream of tartar or vinegar. Remove the “Gas Effect” from Beans – Add 1 tsp. baking soda with dried beans in boiling water and boil for 3 minutes, and then remove from heat - let sit for 2 hours. Drain and replace water then continue to cook as normal. Make Your Own Sports Drinks – Add baking soda, boiling water, salt and kool-aide powder. Fluffy Omelets – To make your omelets fluffy try adding ½ tsp. of baking soda to every 3 eggs used. Reduce Acid in Tomato Based Recipes – add a pinch of baking soda to the recipe. Makes a Great Soft Scrub for delicate surfaces – Mix with water to make a paste and then apply using a damp cloth or sponge. Repel Rain on Car Windshields – Mix with water and spray on car windows as a glass cleaner. Will repel rain water off of your windshield. Litter Box Deodorizer - Sprinkle in your cats litter box to neutralize odors. Carpet Deodorizer – Sprinkle into carpets, let stand for 5 – 10 minutes and then vacuum to remove odors. Toilet Bowl Cleaner – Add 1 Cup baking soda to toilet bowl and let set for 1 hour then flush. Leaves bowl clean and deodorized. Grease Cutter – Add to dishwater to cut tough grease on pots and pans. Makes your Dishwasher Clean Better – Add 1 teas to the dishwasher along with your detergent. Makes dishes come out cleaner and shiny. Boost Your Laundry Detergent – Add to wash to help remove stains in wash. Remove Melted Plastic on the outside of your toaster – we've all done it, left the plastic bag too close to the toaster when making toast and it melts on the toaster. Wet a rag and sprinkle with baking soda then simply clean the outside of the toaster and it will come right off. 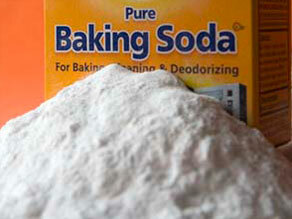 Oven Cleaner – Add 4 tab of baking soda to 4 quarts warm water then clean the bottom of the oven spotless! Clean the Dishwasher – This is so easy to do, I had to try it before I believed it works… It DOES! Simply add ¼ Cup baking soda to the open tray inside and then run your dishwasher through the rinse cycle. Cleans and deodorizes. Clean Drains – This one reminds me of the old high school science projects where I made the volcanos… Pour ½ box of baking soda into the drain and then add ½ cup Vinegar and watch the fireworks! The combination will “fizz up” and when it’s done fizzing, you simply run hot water down the drain for a few minutes. Unclog a Drain… OK, this one is COOL – No harsh chemicals needed. Have EVERYTHING ready and at your side when you do this though – there’s no time to go and grab on this one! 1) Pour ½ box of baking soda down the clogged drain. 2) Have rags ready and at your side!! 3) Pour ½ cup Vinegar down drain and IMMEDIATELY stuff with rags to stop the “Volcano Effect” from coming out of the drain – We want that stuff left in there! Let this set for 30 minutes. 4) While this is setting, boil a big pot of water. 5) After 30 minutes, remove rags and slowly pour boiling water into drain. That’s it! You just unclogged your drain without ANY harsh chemicals. For really tough drains, you might have to repeat this process twice but I've only had to do that a couple of times. After researching for this article, I am very interested to learn if there are any other tips/tricks or uses for baking soda that I did not include in this article. If you know of any, please email me so I can add it to the list for others to learn about as well.